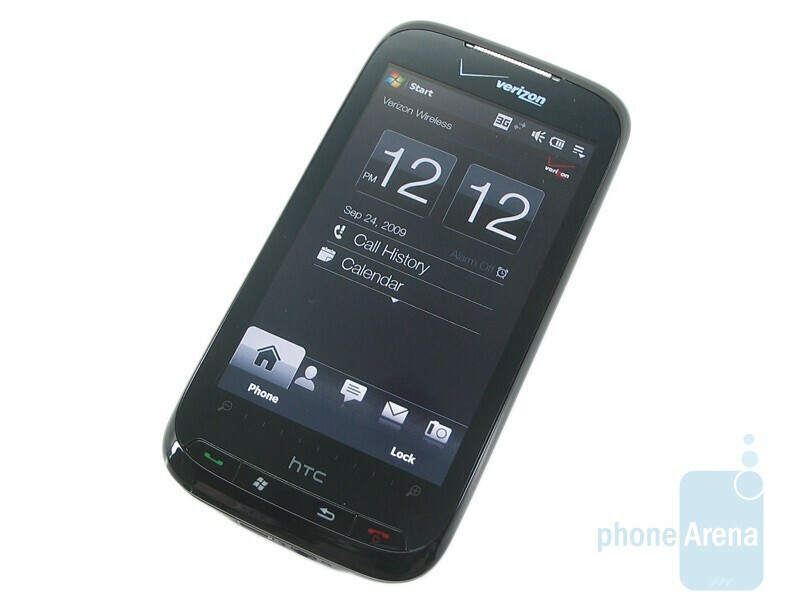 Verizon is the third carrier to release the HTC Touch Pro2, behind T-Mobile and Sprint. They are also the cheapest, offering the business-centric unit for just $200 on contract compared with $350 from the other carriers. We’ve taken an in-depth look at the original GSM unit, as well as a quick look at the offerings from T-Mobile and Sprint, so it seems there is little left to say about the Verizon version. The overall design is nearly identical to what we’ve seen so far (it has the 3.5mm headset jack found on Sprint’s unit but not the GSM ones,) but like the other US carriers Verizon has put its own touch on the color scheme and battery door. This version comes with a jet black face, and color has been added to the front buttons much like the original Touch Pro and Touch Diamond. One minor change they made was moving the power button from the top of the device to sharing with the end key. It has made its home on the top left of HTC units for years (including on all other Touch Pro2 variants,) and since the backlight key still remains there we didn’t catch the change, thinking we had a DOA unit. While it was slightly embarrassing to admit that we just didn’t know how to turn it on, it is another example of Verizon messing with things that really have no business being messed with. The back of Verizon’s Touch Pro2 is gray, with a large, black mesh speaker cutout. Like on previous versions, the cutout is strictly ornamental as the speaker is small and rests just next to the camera unit. When held horizontally it becomes apparent that the grey markings on the mesh cutout are actually a rough map of the world, highlighting the global nature of this CDMA/GSM unit. It’s the second best of the four variants we’ve seen thus far, but we still prefer Sprint’s uniform color and more contemporary battery cover. So far all of the units feel identical in the hand, which is to say large and heavy. Software is pretty true to the original. 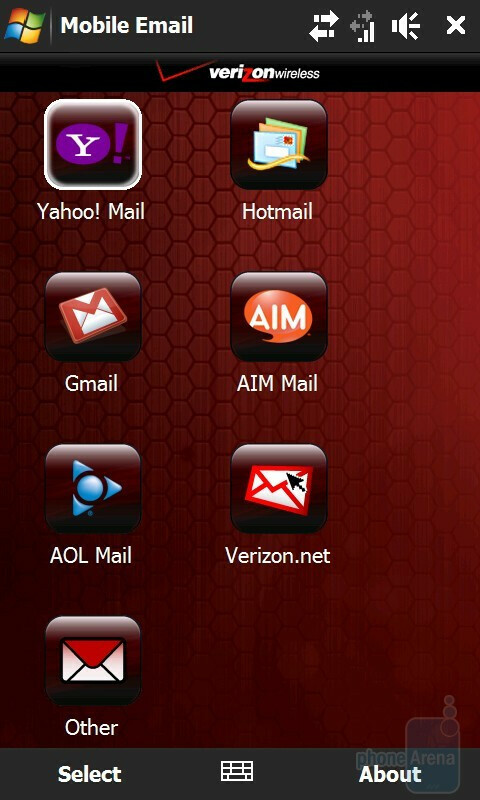 There are no extra tabs, a la Sprint’s Navigation and TV tabs, but you of course find standard VZW specific software: VZNavigator, Visual Voicemail and Mobile Email. Verizon has chosen a white-on-black theme with silver tabs, very similar to the T-Mobile variant. The display on our VZW unit had a noticeable yellowing to it as compared to the Sprint one. It was not apparent until we had the two units side by side, but the Sprint panel is definitely better. As we’ve seen on recent VZW phones, Bing is the preferred search provider as opposed to Google. HTC includes the Opera Mobile browser, though IE is also available as an option. We had an issue when trying to download Google Maps to test out GPS performance (it is fine, though Sprint’s one latched onto more satellites quicker); Opera told us m.google.com/maps was unavailable, and google.com/gmm did not allow us to send a link after typing in our phone number. It was very odd, as it worked fine on IE and on Sprint’s Opera browser. Actually, the VZW Touch Pro2 does have an older build of the browser, 16730, as opposed to Sprint’s 16893. While it may explain the glitch in selecting the link, it shouldn’t make a difference in finding pages. The 5-row QWERTY keyboard is just as good as ever. It is more similar to T-Mobile’s version, with less shortcut keys, but the addition of a user assignable favorite key is a welcome change. As with previous Touch Pro2 versions we’ve used there was a slight lag at times, but this was somehow expected and did not affect the overall performance. Call quality was stellar again and the speakerphone was just fine, but not quite as good as on the Sprint version according to callers. All-in-all, Verizon did a good job of keeping the Touch Pro2 as close to the original as possible. At a much more affordable price you’ll probably see more in the hands of the average customer, but we still feel the Touch Pro2 is best found in suit pockets and boardrooms. No they have plenty of reason to bash that placement of the Power button. 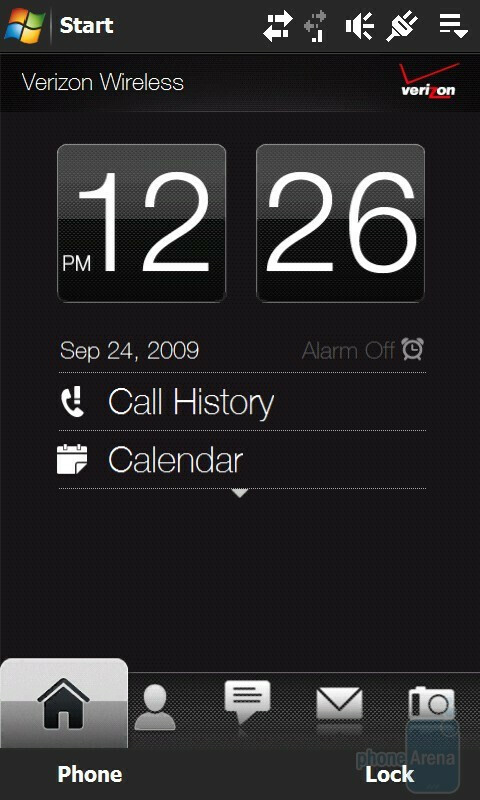 If you are an HTC user for the past 6 years you would find the power button on the top of the phone. I have used a windows mobile phone every day since mid 2006 and have used exclusively HTC for 2 years now, and I would have the same idea. Why should I read a manual for a phone I know about already. The only winmo phones that share the End/Power button are Standard phones. VZW is messing with the nature of WinMo Pro and ruining the Customer experience for windows mobile as a platform. It is damaging to WM and it angers long time users. That's why they can complain. i think you're just retarde...holy shiz people it's a power button! and, uhh how does it ruin WinMo Pro? Does it somehow disable functions? like the calendar? or maybe text messaging? syncing with your computer? Do, pleas, enlighten us all as to HOW it ruins this phone? Exactly I am dying to hear how a little tiny power button can ruin a phone made by one of the industry giants.... Please enlighten us Kiltlifter. Well, the S2 is basically the same as the Storm just much more polished and refined. It really just depends on what type of OS you want, and what type of keyboard you prefer. I love the keyboard on this beast, and WinMo 6.1 is very very well hidden. You've obviously never used the Treo 700wx, or the Mogul. 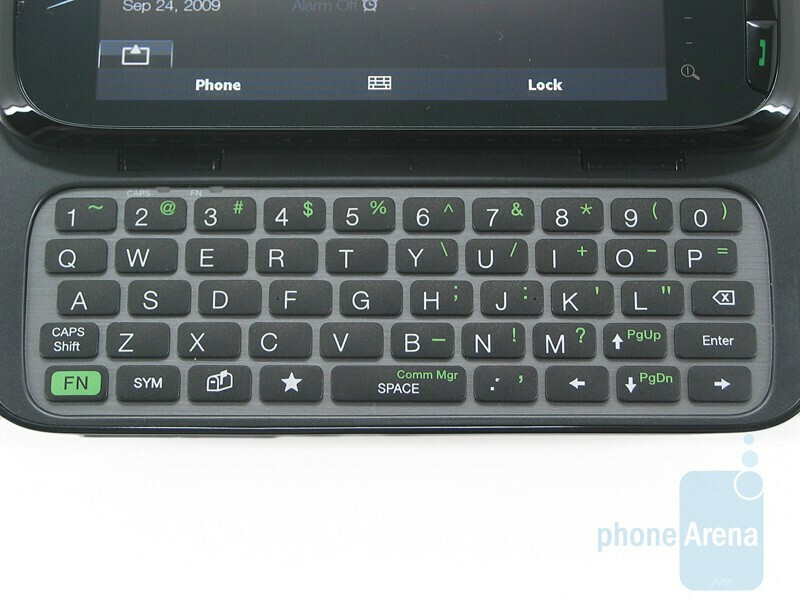 Treo wx shares the power button with the hang up key. The mogul has the power button on the side. Both devices are manufactured by HTC. Neither phone has the power button on top, which you indicate is an HTC "standard"
Well, don't I look stupid. 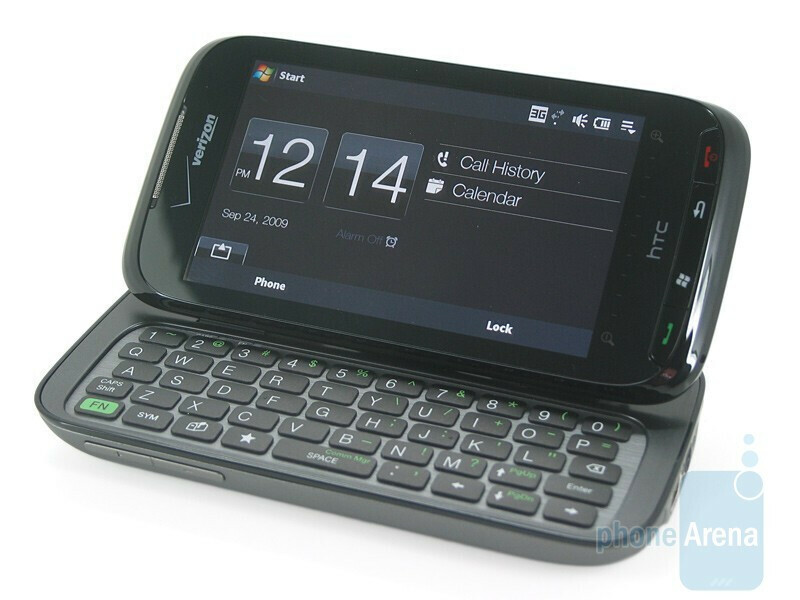 Looks like HTC OEMs the Treo for Palm, according to some. Sorry. Really, PhoneArena, how surprising that you could not get a report in WITHOUT bashing Big Red. ".... it is another example of Verizon messing with things that really have no business being messed with......" Are you serious? I've had my phone since five days after they released it online. The first thing I noticed?.... the Power button is also the End Call button. How could you NOT have seen that? I know HTC is used to putting it at the top, but you are right about one thing; you embarrassed yourselves by not knowing how to turn it on. I'm looking at the phone now and.... well how about that.... there's a little "Power" icon on the End Call button ( you know, the little circle with the vertical line thru it ? ). And you guys are supposed to be tech savvy. Hell, you didn't even need a manual for THAT. And by the way, I'm GLAD they moved that button. I used to put my phone in Airplane mode to save battery at nite but keep my alarm on. Sometimes I would forget that and didn't know if the phone was on or not ( no flashing green light )....and I didn't want to have to power it on by mistake. I think this was a great idea by VZW.Overall, I give this phone aces. There are some things I would have changed, though.... Like making it capable of VCast with Rhapsody and making it capbale of editing photos. A camera flash would have helped too, but it's no biggie. I also downloaded Google Maps with no problems whatsoever...even with the older build of Opera. Two thumbs up Verizon. RIM and Samsung ( Storm 2 and Omnia 2 ) better come with their "A-game" if they want to compete with this monster. I agree with this 100%. Ive had my TP2 for a week and a half/two weeks and i absolutely love it. And when i can upgrade to 6.5 is going to make this already outstanding phone into something much better. Why has no one mentioned it getting stuck in 1X? There are tons of people reporting this issue on other forums all over the web. Right now is seems to be 50 50 chance you have a bad tp2 from vzw. They are sending me a new phone but I know from reading on ppc geeks that it didn't fix theirs either. Reply if you are having problems too. I haven't encountered this problem... perhaps you are just getting incompetent tech reps that don't know how to fix anything. No problem here with my TP2. I get 3G everywhere I'm SUPPOSED to get it. 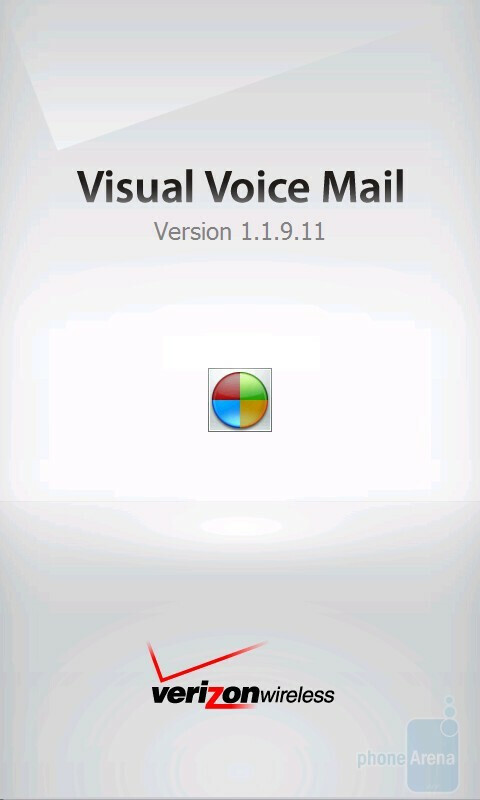 Hell, I get it where my other phone ( enV Touch ) doesn't. There's bound to be some lemons in a batch of phones. Verizon's Touch Pro 2 did not meet my expectations. The touch screen on my first touch pro malfunctioned for unknown reasons, and so I had to jump through hoops to obtain a pre-owned certified version; 6 months later, the pre-owned touch screen crapped out as well, with no apparent reason. 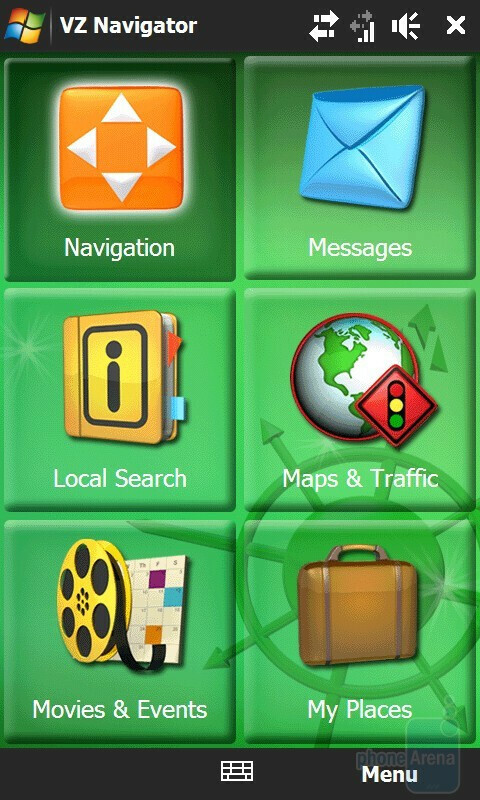 Once the touch screen malfunctioned, access to any saved information is impossible, as navigation through the phone is impossible. Verizon failed to mention that the pre-certified phone only came with a 3 month warranty. In addition, the phone would constantly tell me I had multiple new text messages, when in fact I didn't. Worst phone I have ever owned.